I am very sure that sometimes, we treat ourselves into something extravagant; maybe to reward ourselves or to cheer us up during unpleasant moments. It could be a sumptuous lunch or dinner in an expensive restaurant, a new gadget to play with or signature shirts and apparels or even a vacation to other country. There is nothing wrong with those things, yes, we should love ourselves and should validate our own worth. But there are better ways on how we should love ourselves that doesn't involve material things and spending our money. In Galatians 5:13-14, it says there - "13 You, my brothers and sisters, were called to be free. But do not use your freedom to indulge the flesh; rather, serve one another humbly in love. 14 For the entire law is fulfilled in keeping this one command: “Love your neighbor as yourself.” For sure we have all heard "love your neighbor" but we normally don't pay attention to "as yourself". 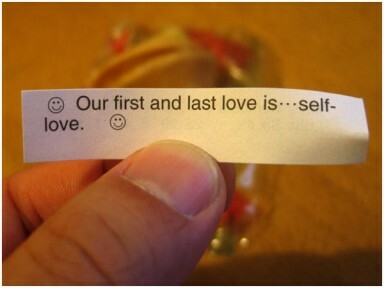 We start loving ourselves by acknowledging that we are children of God and created according to His image. A spiritual leader once asked me, what is my relationship with God and I answered, "a friend" on which he said that it wasn't wrong but it did not fully explore myself worth. We must be reminded that He is our Father and that's how we should treat ourselves, love ourselves; that we are worth of His every plans and blessings. He has provided us everything and we should take care of ourselves. Ask yourself this, how can we fulfill all His plans for us if we don't even know what our status is and image on His eyes? Loving ourselves is very essential to His will. Once we dislike or condemn ourselves, we will feel unworthy of all the blessings and things that He is giving to us. Then doubt and casting ourselves away from Him might come next. We are unique to each other by the talents that He gave us on which we should use to contribute to His kingdom. God given abilities are important factor in our Father's goal and it should be our goal too once we have a righteous love for self. Be proud that we are His children and stick into our minds all the promises that He has for us. There might be consequences and challenges in our lives right now but one thing for sure is that He has plans for us and we should not give up. We will achieve those goals once we recognize our worth unto Him.